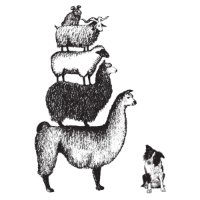 The Montpelier Sheep Dog Trials features four classes of competition, ranging from beginners to the most accomplished dogs and handlers. The trials run throughout the day, both days of the Festival. 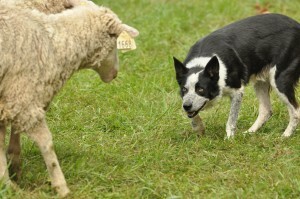 The Virginia Border Collie Association (VBCA) has been presenting the sheep dog trials at the Fall Fiber Festival for many years. The VBCA also sanctions and holds other trials throughout the year and recognizes our top dog and handler teams at the end of each trial season. These teams may also earn qualifying points to compete in the United States Border Collie Handlers Association National Finals. Some of the dogs who ran at Montpelier during the Festival went on to the 2013 National Finals. 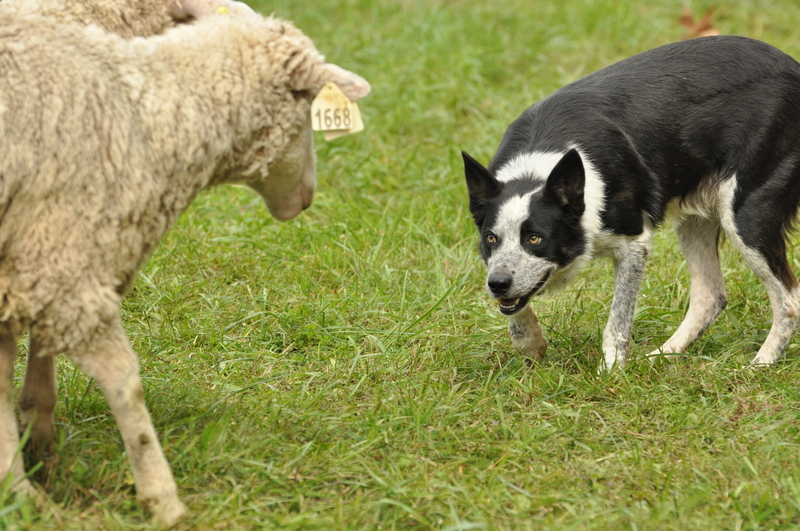 The “Super Bowl” of sheep dog trialing was held the following week and weekend at Belle Grove Plantation in Middletown, VA. The VBCA welcomes all Fiber Festival attendees to watch the trials and marvel at the talents of these dogs. The trials will run continuously both days of the Festival.